A comprehensive video surveillance solution consisting of 96 cameras from Dahua Technology UK has being installed at the striking Fort Dunlop commercial and retail site, overlooking the M6 motorway in Birmingham, by Champion Security Installations. 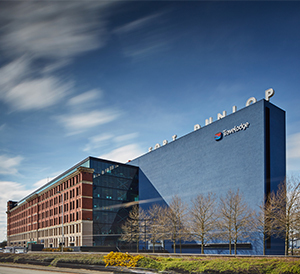 Built for Dunlop Rubber, Fort Dunlop became the tyre-maker’s flagship production facility and at one time was the world’s largest factory, employing 3,200 workers. After production stopped in the 1980s, the building lay derelict before being redeveloped into 360,000 square feet of office and retail space, also now with an adjoining hotel. A spokesperson from Champion Security Installations added, “We have worked with the management of Fort Dunlop for a number of years now, so we designed the new IP CCTV system in consultation with them. Article originally published on the Champion Security Installations website. Champion Security Installations are experts in commercial security systems, who pride themselves on delivering tailor-made solutions that meet their client’s objectives, which can range from improving employee safety and performance to deterring and preventing theft and damage. CSI will evaluate your requirements, your budget and your circumstances – such as location, lighting and environment – in order to offer you a bespoke security system. Because CSI are not affiliated to any particular manufacturers, they are able to offer independent, impartial advice and always deliver the best, tailor-made systems for each and every one of their clients. CSI offers an integrated approach with one point of contact and take total ownership for your security needs, from fire extinguishers and intruder alarms to CCTV and security patrols. They work with many different companies, in all types of industry sectors, all over the UK, and pride themselves on their expert knowledge, impartial advice and outstanding service.